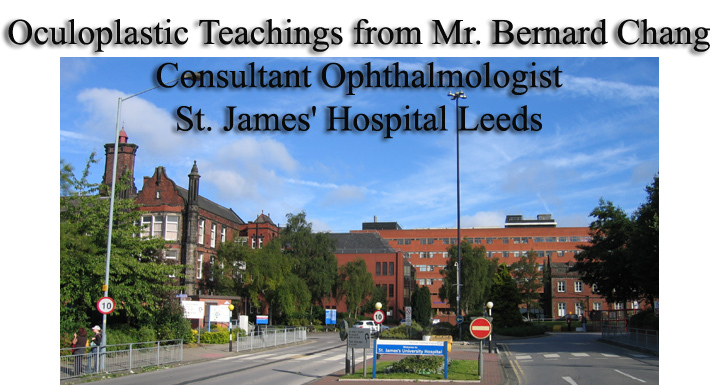 Oculoplastic teachings from Mr. Bernard Chang, St. James, Leeds. 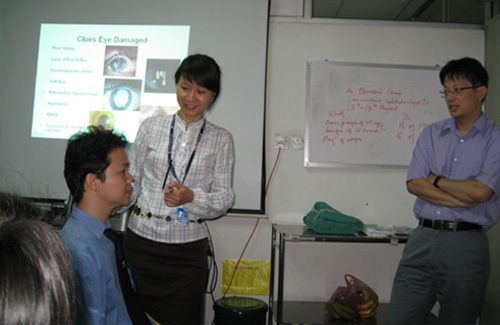 The Eye Department of UNIMAS Medical School was honoured to invite Mr. Bernard Chang of St. James' Hospital to give a series of lectures on oculoplastic conditions to the ophthalmologists in Kuching . 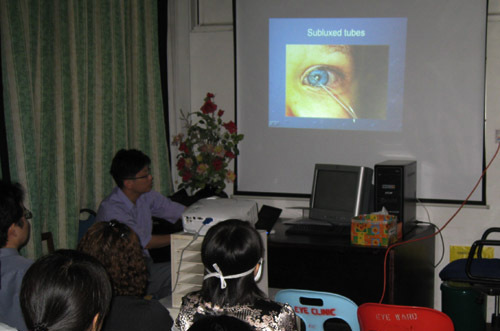 The event was held in the seminar room of the Eye Department, Sarawak General Hospital on the 13th and 14th August, 2009. 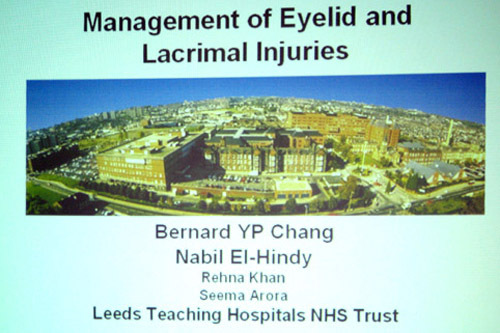 The lectures were well attended by members of the Eye Department. The trainees benefited greatly from the lectures and we plan to organize similar event at a national level in the future. Lecture at the seminar room in Sarawak General Hospital. 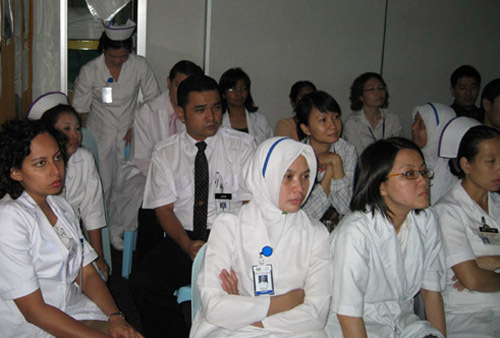 Staff of the Eye Department in Sarawak General Hospital. Getting the audience to participate. Dr. Koay and Dr. Ting. 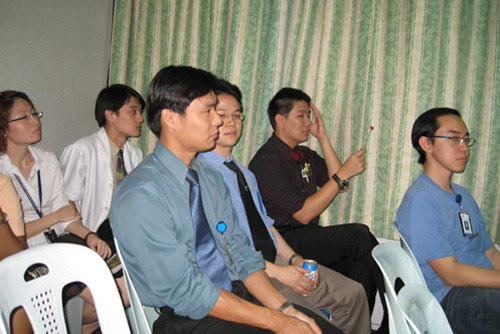 Getting the audience to participate during the teaching. Dr. Pan and Dr. Ngo. At the Eye Department, Sarawak General Hospital. Prof Chua and Mr. Bernard Chang. 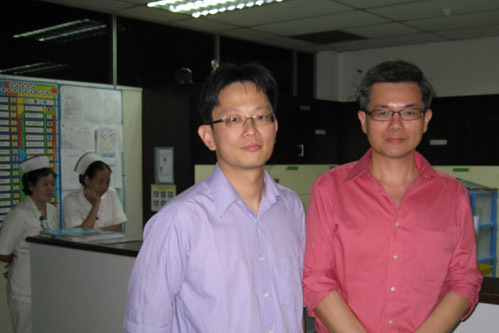 Mr. Bernard Chang and Dr. Ngo. 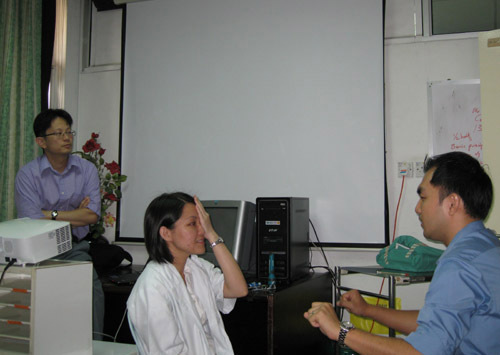 Mr Bernard Chang, Dr. Wendy, Dr.Koay. 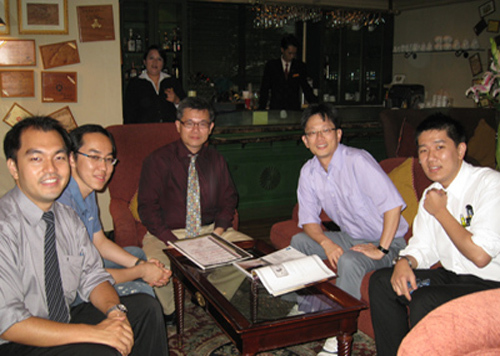 Mr. Bernard Chang, Prof Chua, Dr. Adrian Koay and Dr. Ngo.